This Xenomorph will terrorize your Alien/Predator collection! Straight from a deep-space prison, this 7 1/2-inch tall Xenomorph will terrorize your Alien/Predator collection and anybody who visits you! 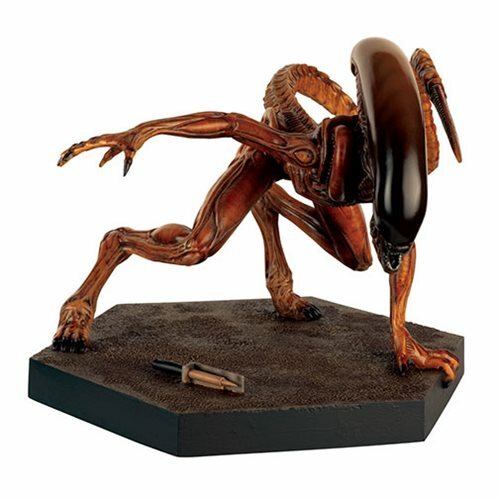 The Alien Predator Mega Runner Xenomorph Statue Special #10 is a limited edition of only 1,000 resin pieces worldwide. When a stowaway facehugger reaches a deep space maximum security prison, it impregnates one of the prisoner's dogs. The resultant alien is a creature of incredible speed that runs on all fours as it terrorizes the prison's staff and inmates.